Spitwich is a popular local secret. You won't see it advertised as no one makes any money but its a definite favourite and a day out your kids will remember for the rest of their lives. Look up grid ref. SX730705 on a map or in multimap then just follow the path down the river. You will find a big grassy area when people sunbathe and swim in the river. 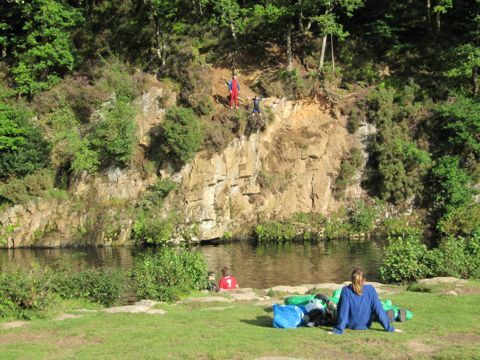 Jumping off the banks and trees is a draw for most youngsters but we could never recommend it as people do get hurt. © Copyright Engineering Adventures Ltd , all rights reserved. Last Updated 2018-02-12.